"I died. 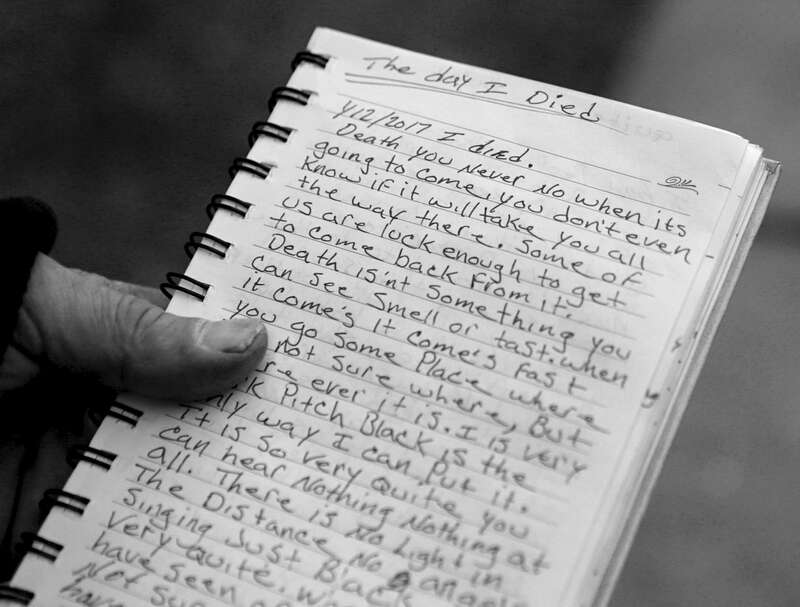 Death you never no when its going to come, you don't even know if it will take you" is printed in a the journal of a heroin addict. The addict who did not want to be identified says he wrote the journal entry after he had a near fatal overdose the previous month.